Want to cuddle with Adam? I am committed to the intentional evolution of our culture to embrace peace and cooperation as basic values. Cuddling and honest communication is a fundamental part of that. Cuddling is the yoga of touch, holding, connection, listening and being present with yourself and another. Several years ago I was talking to a woman and asked her if she would like to be held with no agenda for sexual contact. Tears streamed down her face as she nodded yes. This inspired me to become a cuddle party facilitator and private cuddle professional. I provide a safe supportive container for you to be held, nurtured, and listened to. In a cuddle session with me we will review the code of conduct and then it is all about you. You get to unpack your needs, wants and desires. I am a father and grandfather and a retired high school teacher. I am also a teacher of compassionate communication. As a certified Cuddle Party facilitator I have regular Cuddle Parties in San Diego. When traveling I have had Cuddle Parties in Chicago, Boston, Ireland, Northern Ireland, Germany and Portugal. 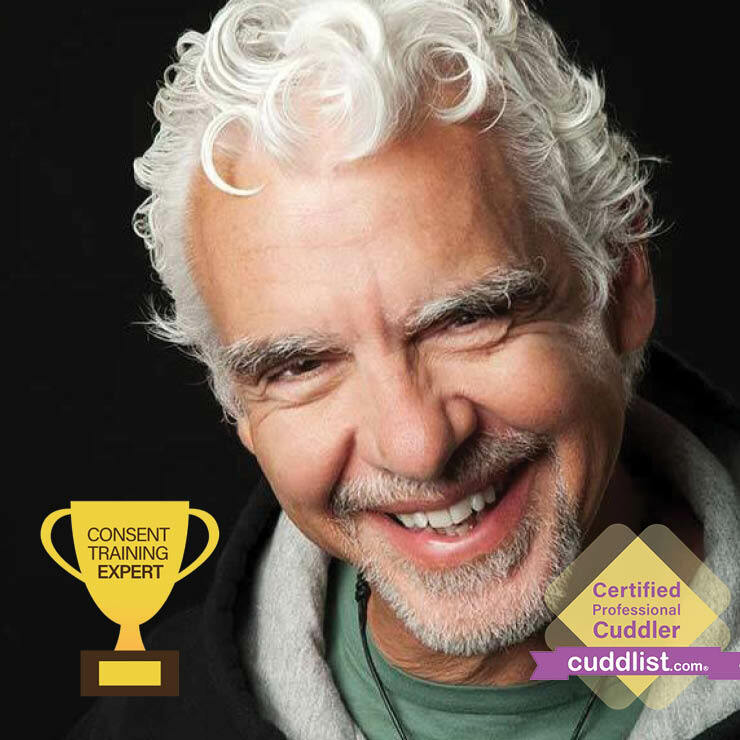 I am also a member of the Cuddle Party board of directors and take an active role helping to train new facilitators. San Diego sessions are on a large futon couch in my living room or private outdoor porch when weather permits. Music by Pandora. We will begin by lighting a candle and a brief review of the agreements. From there it is up to you, we can talk, hold, stroke, massage…. I encourage you to ask for what you want knowing that you can change your mind. Worcester sessions are currently out-call only. I do not yet have a suitable space for hosting in this area. Soon I hope. I am a natural empath. Training and practice include Non-violent Communication (NVC) Light Massage and Tantsu Tantric Counseling.